Special Instructions: This product has an estimated shipping of January 2019. Reserve yours today. Distance adds variables. 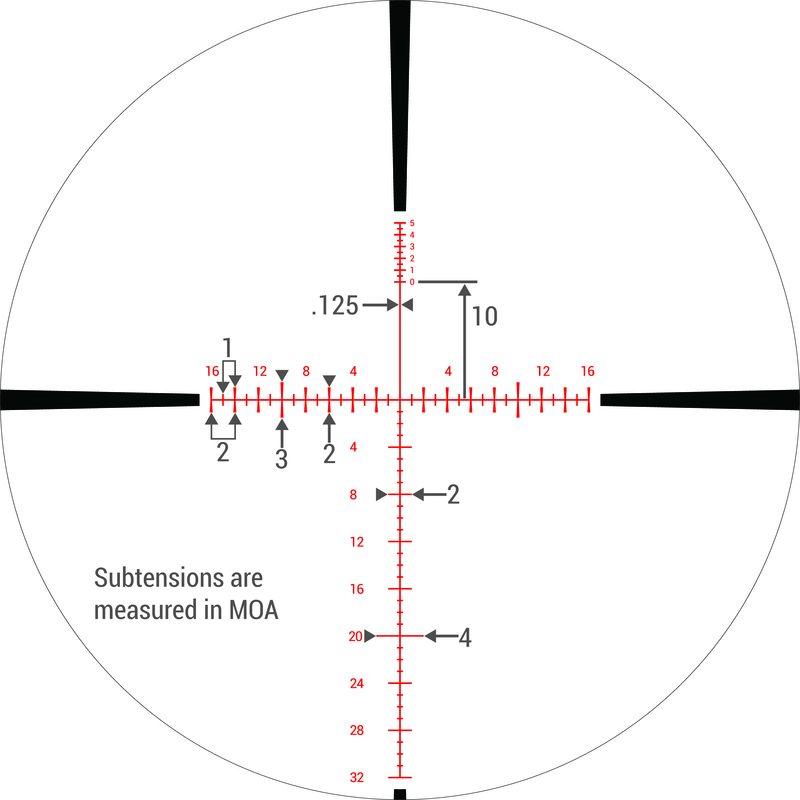 When you are shooting at a target a long distances, obtaining a targeting solution becomes extremely complex. The best way to ensure a satisfying hit is to simplify the process, and that is exactly what the PMR 428 does. It is a whole new way of looking at long-range shooting. 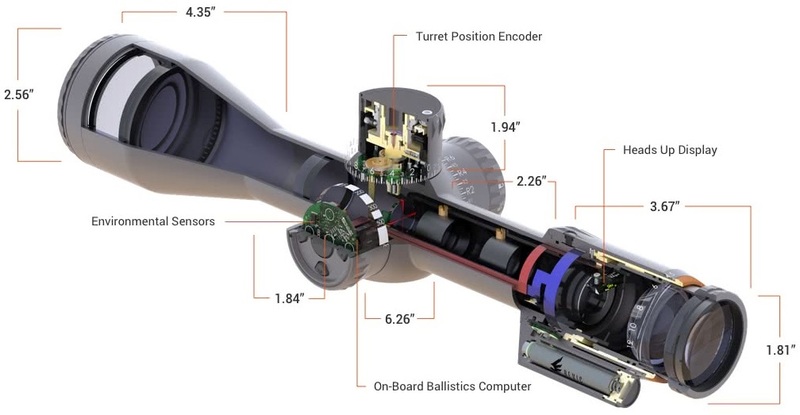 When you dial the turret, it calculates the bullet trajectory utilizing a full suite of sensors and an advanced ballistic algorithm, and it calculates the solution in real time. Just dial the elevation turret until the display shows the target range. It is as simple as that. Expected Retail of this product is $3799.00 + applicable taxes. Expected Shipping date is March 2019. This is a Pre-order deposit see below for full pre-order terms. 1. 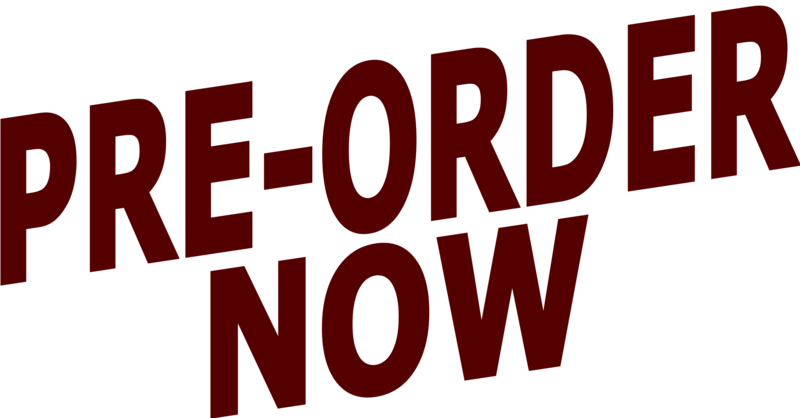 We will ship Pre-Orders in accordance with the expected ship date of January 2019. If this date changes, we will keep you informed. 2.You are responsible for keeping your shipping and contact information up-to-date to ensure proper delivery of your product. 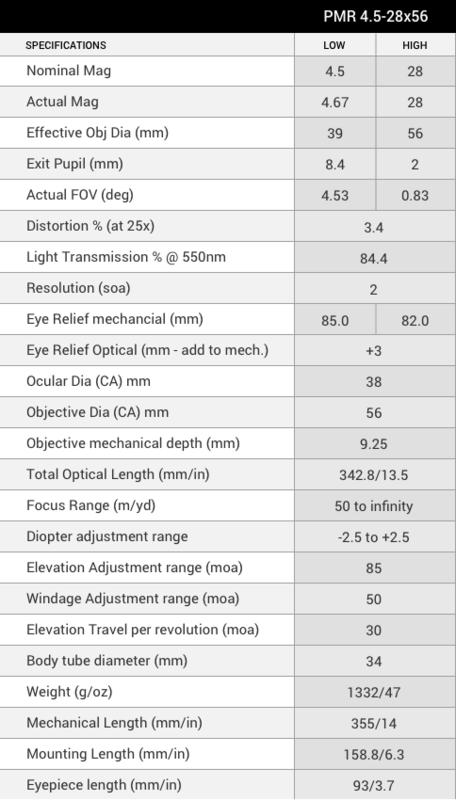 Please email us at PrecisionOptics@Telus.net should you need to update your information. 3.You will be charged when you place your Pre-Order. This deposit will be deducted from the final cost of the product. If we're unable to ship your Pre-Order six months from order placement, we'll provide a full-refund at your request. No discounts, refunds or credits will otherwise be offered due to any such delays. 4.Your placing of a Pre-Order constitutes your express agreement to the purchase of the product when it is available and the charging of your provided payment method at such time.